FiNZ 21 – LS Hen Fiesta! By the time Friday came around I had managed to get enough sleep throughout the week, Keith hadn’t caught the flu, and all my travel colleagues were healthy for our trip to Melbourne! My coworker is getting married to our friend, Lourdes, next month so a few of us got together and asked where she wanted to go to have a proper Australasian hen party. 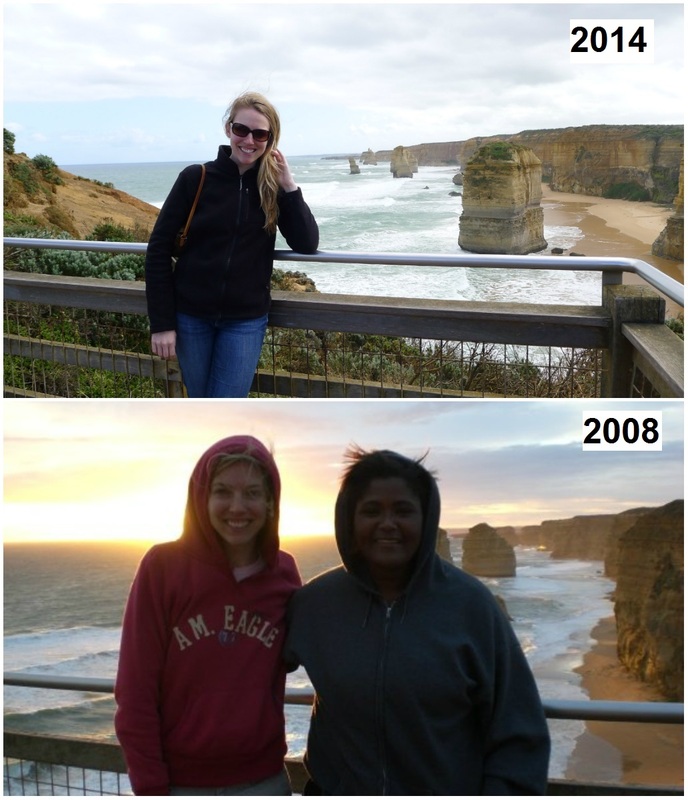 She had never been to Melbourne, so to Aussie we went! Fun background story–back when I was in New Zealand in 2012 the groom was introduced to the bride as “another young person to hang out with.” The groom thought the bride was a dude (I guess that happens when your name is Lourdes?…), they emailed back and forth, and didn’t realize she was an attractive female until she showed up at a group dinner we were all attending. Here we are, two years later, celebrating their upcoming marriage! Our Friday morning flight was at 6am. Lucky for us, when you travel back and forth to New Zealand as much as my colleagues you get access to the lounge. 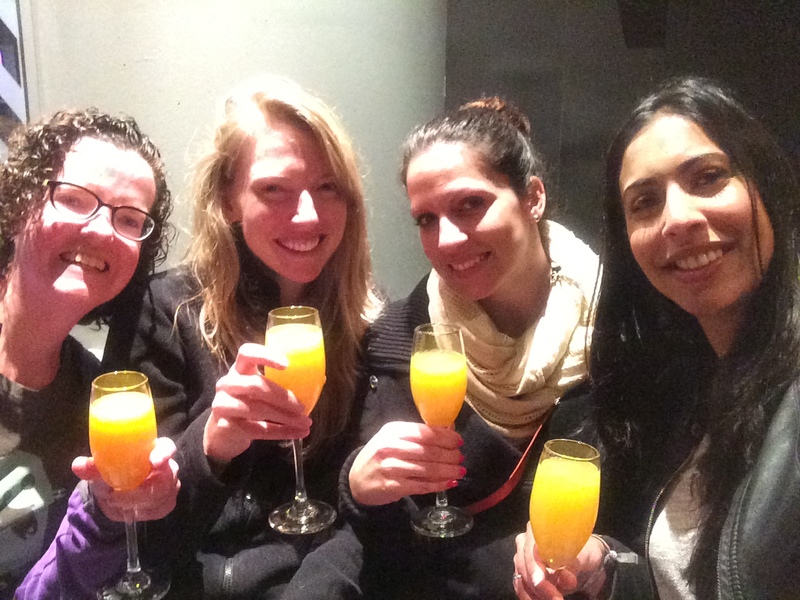 Despite the 3am wake up time, fresh smoothies, a hot breakfast, and make-your-own-mimosas made it bearable! 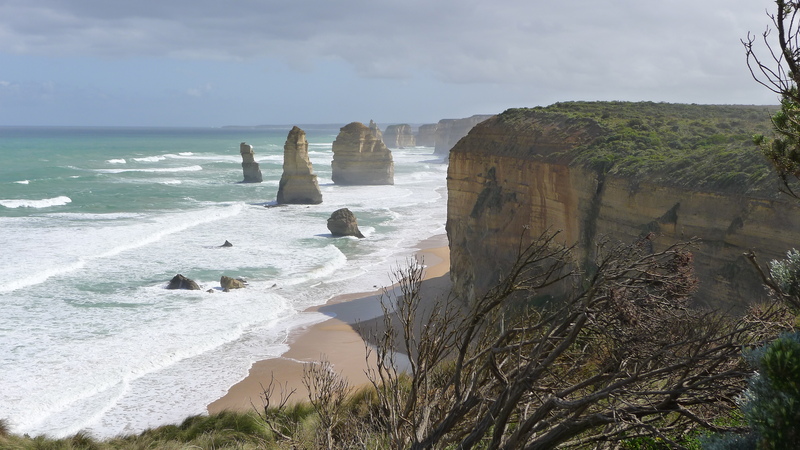 Our first day was dedicated to the Great Ocean Road. 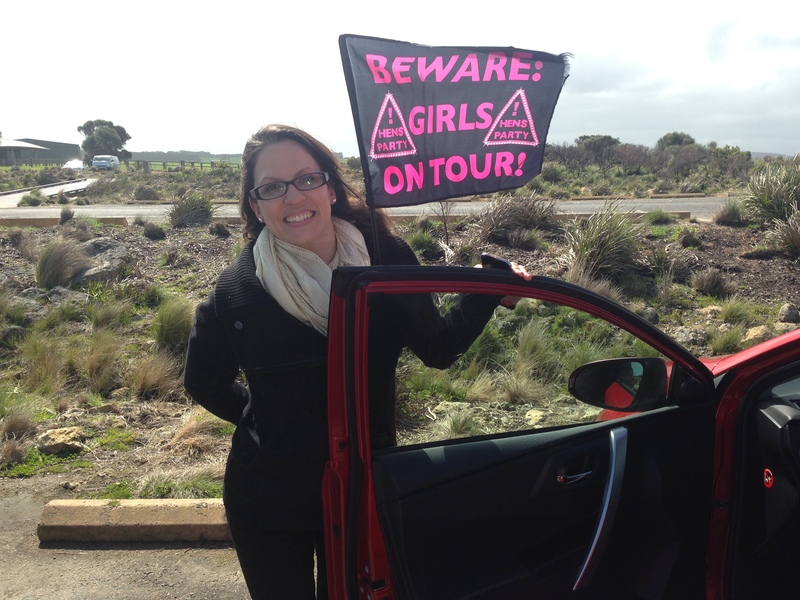 We rented a car and immediately outfit it with one of our Hen Party finds — a car flag. We had to make ourselves known driving around the country all day. We checked into our fabulous Airbnb in the Docklands area. For a fairly cheap price point and beautiful views, I’d definitely recommend staying here if you ever visit Melbourne. Tori flew in from Sydney that night and we all hung out in the flat gearing up for our long day Saturday. 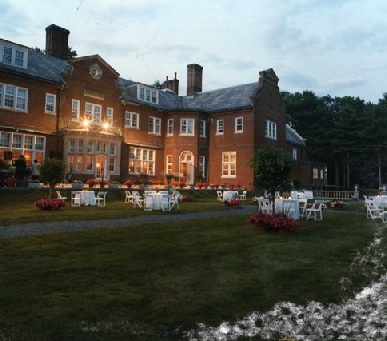 Dominique Portet for tastings, breakfast, & a lawn bowling competition! 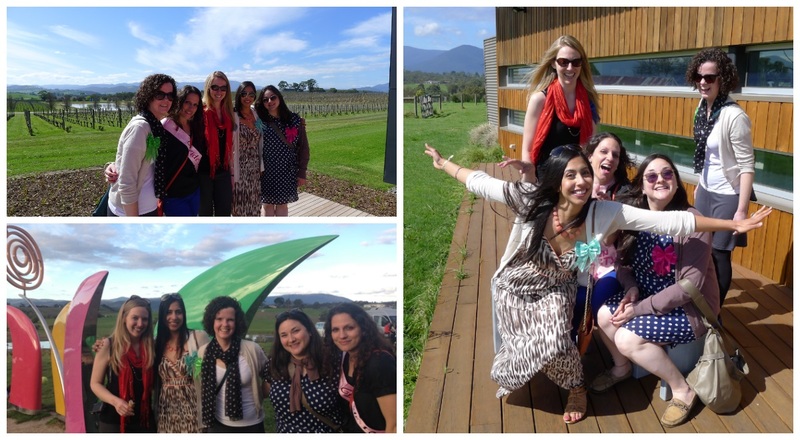 Yarra Valley Chocolaterie – who doesn’t like ending things with Chocolate!? After a long day of wining and dining we decided small tapas were the best idea for dinner. We made a booking at Anada and followed up with drinks at Everleigh, both in Fitzroy, both fabulous! Sunday was city day! We took the free city tram to a very tasty breakfast at Cumulus. We ended up at Flinders Station in the middle of a Mexican festival and waited for our Melbourne By Foot walking tour. The tour was a great 3-hr overview of the city–the more popular parts and some hidden alleyways. 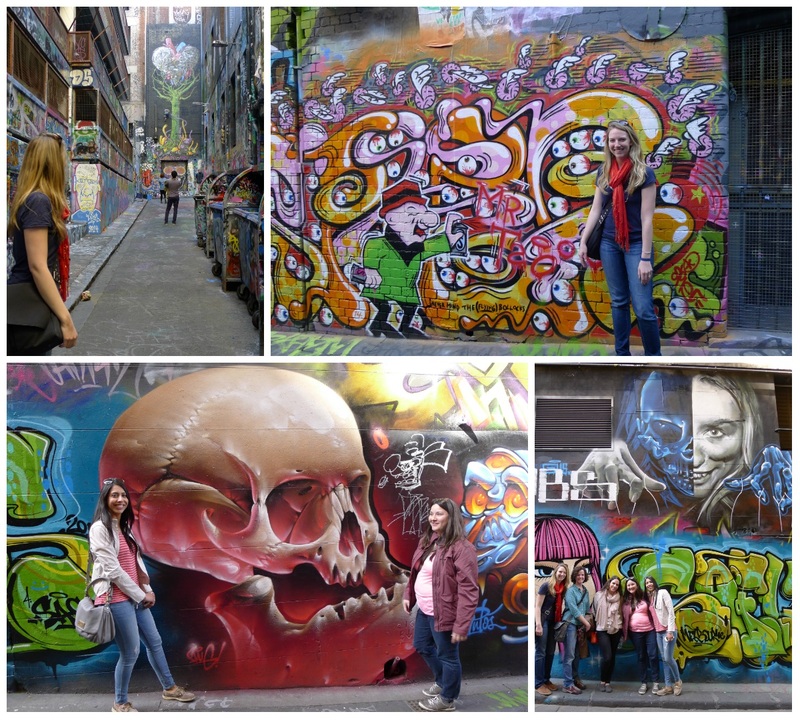 I never knew how big street art/graffiti was in Melbourne. 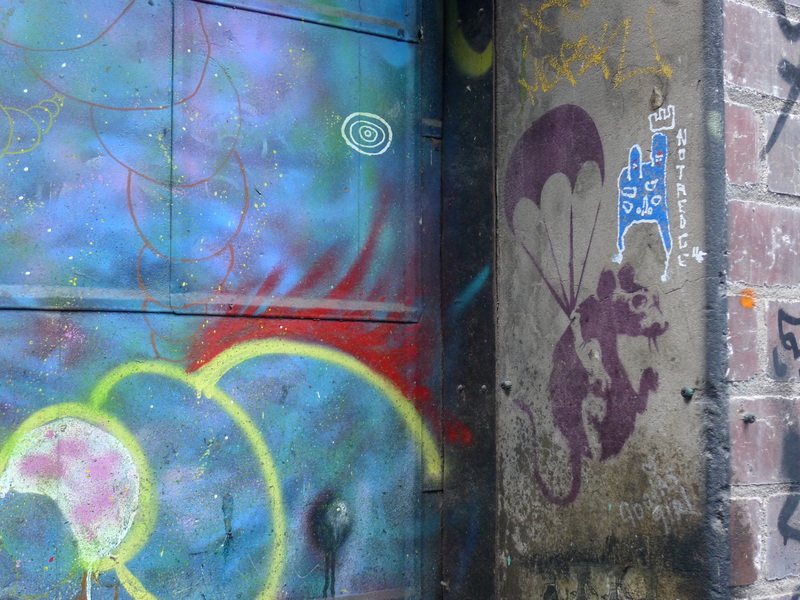 There were entire alleys dedicated to artists and graffiti. We hung out here for a bit taking photos and exploring the art. I was pretty excited to see a genuine Banksy rat! 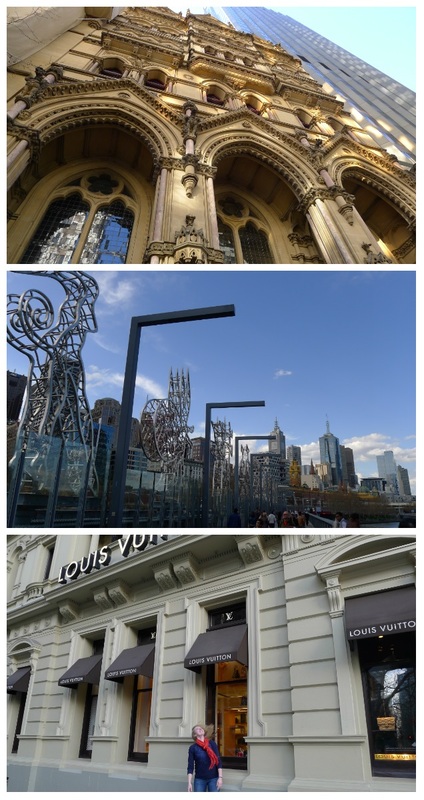 Other than the sights we learned all about the history of Melbourne (did you know it was founded by Batman!?) and ended with some suggestions on where to go next. We were starving after the tour. Unfortunately the first restaurant we were aiming for was closed on Sundays. 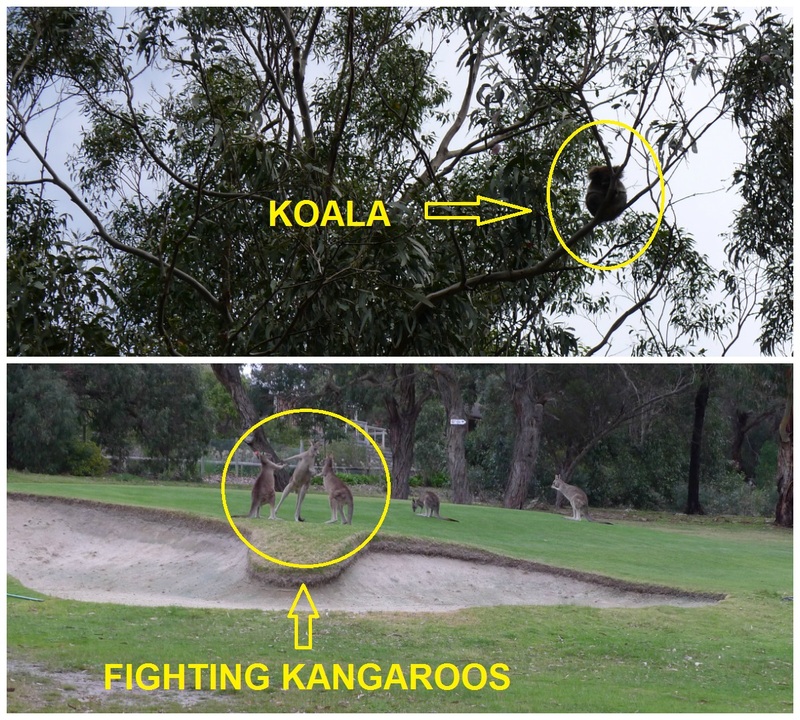 Fortunately, Melbourne has a lot of food options. We ended up in Chinatown/Theater District at Locanda. 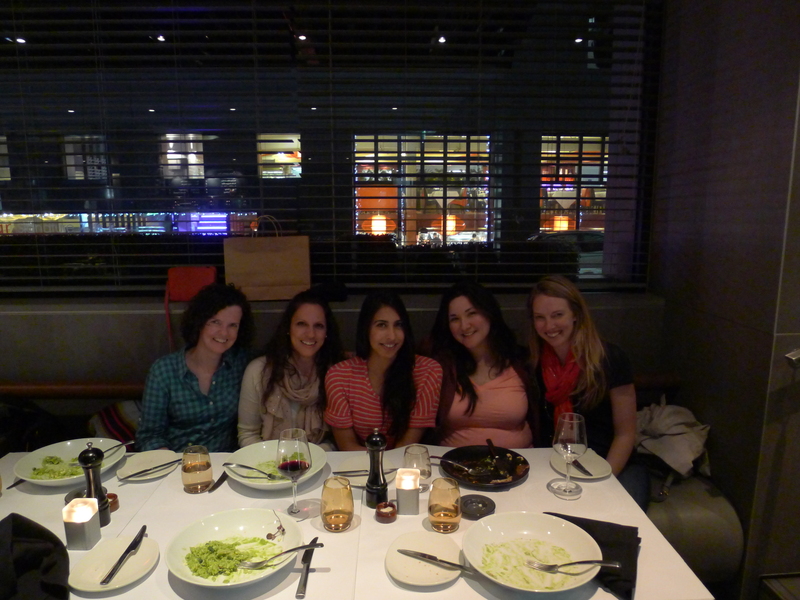 Locanda was associated with the Rydges hotel and definitely had that hotel restaurant feel. However, the food was great and they had a fairly good 2 and 3-course menu deal. We then sadly said goodbye to Tori who flew back to Sydney and eventually we headed to the airport to take our “red-eye” back to Christchurch (I don’t think you can call it a red-eye when the flight is only 3.5 hrs!). 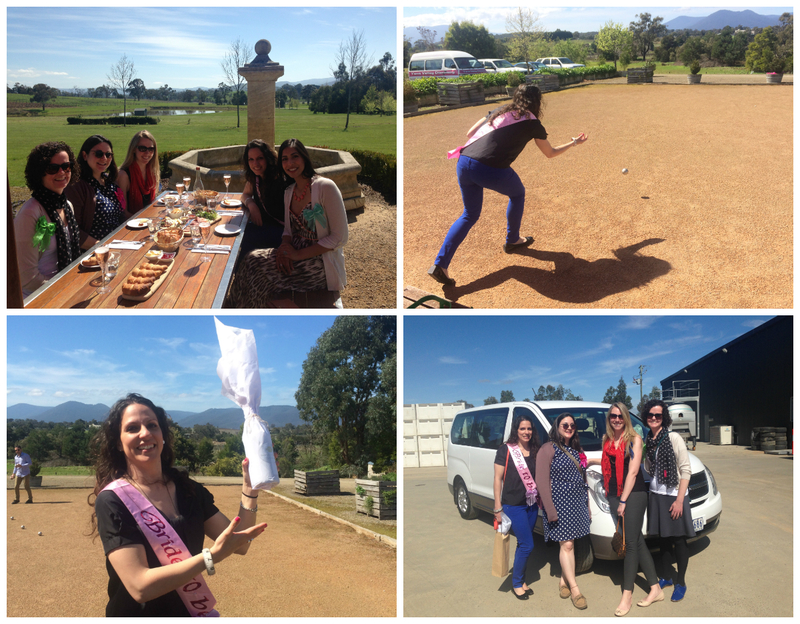 The adventure made for a tiring Monday, but the wonderful ladies weekend was worth it! I could write a plethora (attempting to expand vocabulary?) 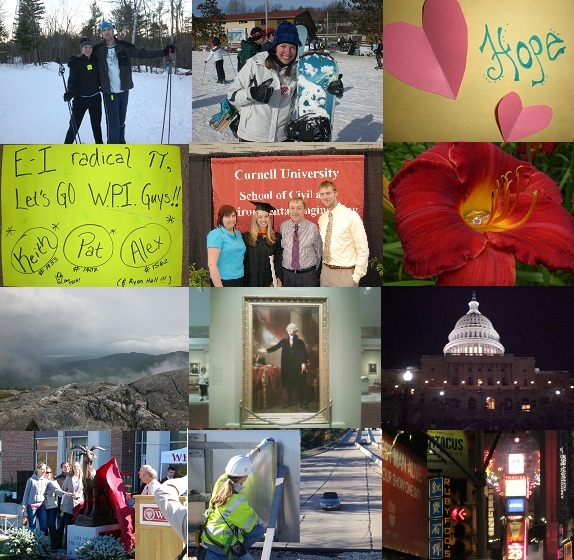 of words to summarize 2010; so therefore, I’ll sum it up with my picture of the month collage. Most up until May was covered fairly well with my graduate adventures–skiing, snowboarding (aka short breaks I took to get away from the office), worrying about my Haitian Sponsor Child, experiencing my first Boston Marathon (spectating of course! ), and finally graduating and therefore completing my goal since high school to get a higher degree…to be a “master” of something–has kind of a ring to it! The summer taught me that life can change dramatically very quickly! One second you’re engaged with no employment, the next you’ve moved your entire life states away and planning some sort of extravagant wedding. I just keep on building bridges, as the cliché goes, which has brought me to a lot of great new experiences. I was a bit reluctant to start up the blog again because half of me thinks I’m a boring adult now, but the other half realizes that I’ve done a lot of pretty interesting stuff over the past few months–working out in the field making sure Maryland’s infrastructure stays intact, exploring the Nations capital, hanging out in NYC to ring in 2011, and of course WEDDING PLANNING. Okay so half of you may be rolling your eyes, but this will obviously be a big part of my life until October. Luckily, the people who actively read this are family and friends that might actually be interested, otherwise too bad. The resolution to start up the blog again was to keep a record of interesting leaps and bounds that keep occurring in my life and maybe a bit of advice I learn along the way.